NEET PG 2019 2nd Round Counselling Seat Allotment has been Started now. The NEET PG 2019 counselling file has now begun. It is managed by the National Council of Education (NBE). 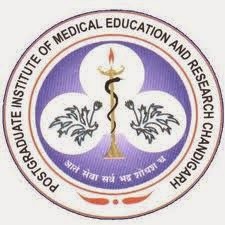 NEET PG is an eligibility and classification exam for admission to multiple MD / MS and PG courses. This is a one-stop access exam for PG courses to gain admission to the government, private and prestigious universities in the country. It is a national entrance examination in which numbers of candidates appear each year. In this article, applicants can get the NEET PG 2019 counselling details. NEET PG 2019 2nd Round Counselling Allotment Letter has been Started now. Click Here for Allotment Letter. NEET PG 2019 2nd Round Counseling has been Started now. Click Here for Online Counseling. Click Here to View Complete Counseling Schedule 2019. NEET PG 2019 1st Round Counselling has been Started from 15th March to 24th March 2019. NEET PG Counseling 2019 has been realized as a centralized board for all states, UTs, and institutions. The council is organized throughout India by the MCC for all 50% quota seats in India. Admissions will only be made by all admission requirements followed by counseling. It is essential to register on the site to participate in the counseling process. Each State / UT / Institutions will generate the list of merits for admission into 50% of state quota quotas. The states / UTs concerned will organize advice for admission to the state tax offices. Here, we are providing official dates of NEET PG 2019 counseling for 50% All India Quota & Deemed + Central University. Candidates should save the password that they have created at the time of registration. Pay the counseling fee, i.e., Rs. 1000 (For AQI /Central University UR candidates) & Rs. 500 (For SC/ST/OBC/PH) and Rs. 5000 (For Deemed University candidates). For AQI/Central University UR candidates: Rs. 25000. After online registration (registration is compulsory to take part in the online allotment process), candidates have to fill in choice of subjects and Institutions/colleges in order of preference. After choice filling, the seat allotment process will take place. The seat will be allotted to the candidates by filled choices, availability of seats, category, etc. Candidates allotted seats will be required to join the allotted college/course within the stipulated time. After the last date, no admission will be allowed. Posts in the state quota or private universities will be covered according to the result of NEET PG. When preparing the merit list of the state tax, many factors will be taken into accounts, such as category, sub-category, final eligibility, status category rank, and others. Reserve policies. Based on the list of merits generated by all states / UT/institutions, the final merit list will be generated on the website. There is no reservation policy to offer income. However, places will be reserved for certain categories. Candidates are instructed to do not forget to bring the documents in original given below on the day of counseling. High School/Higher Secondary Certificate/Birth Certificate as proof of date of birth. Permanent/Provisional Registration Certificate provided by MCI or State Medical Council. If you have any other Questions related to NEET PG Counselling 2019, you may ask your Queries by commenting below.